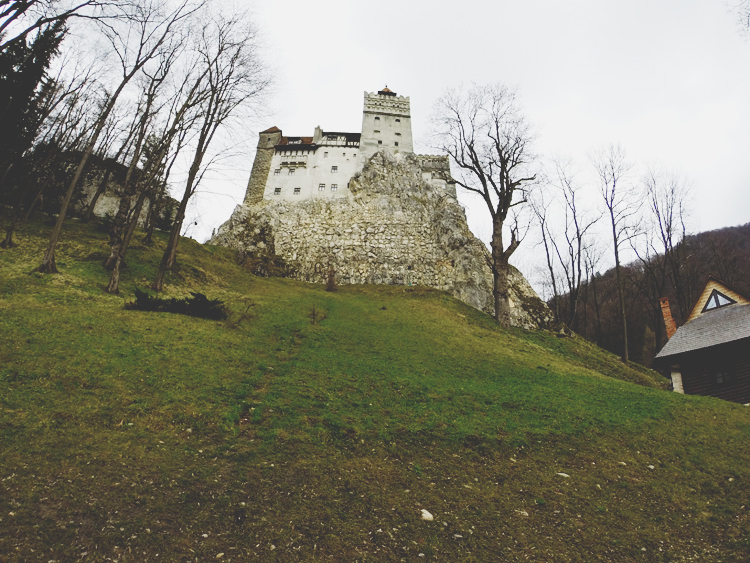 Once upon a time there was a fictional character named Dracula, who was loosely based after a man named Vlad the Impaler who lived in Romania a long long time ago. 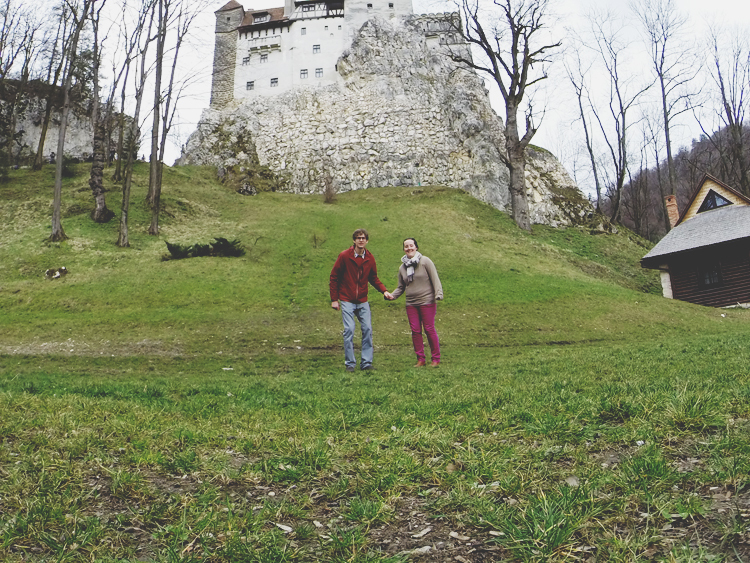 This man Vlad may have visited a place called Bran Castle, but no one knows for sure. 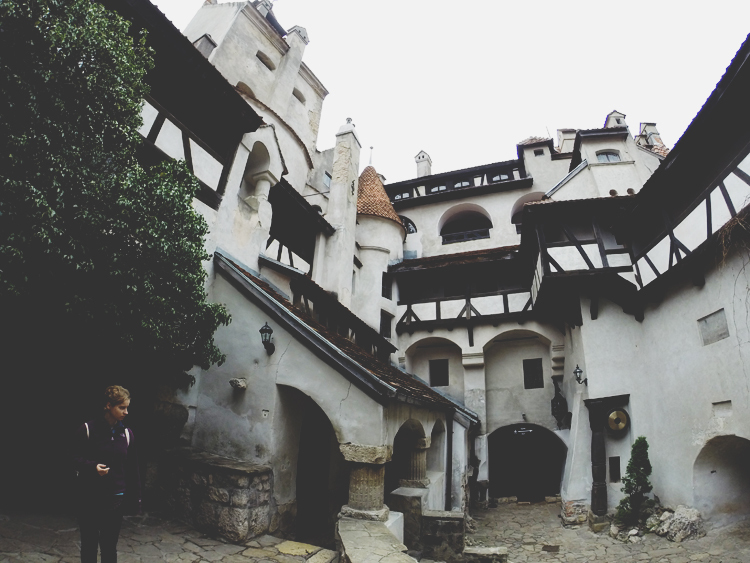 Thus, Bran Castle is nicknamed “Dracula’s Castle.” Though it barley has a thing to do with Dracula except for this loose connection. 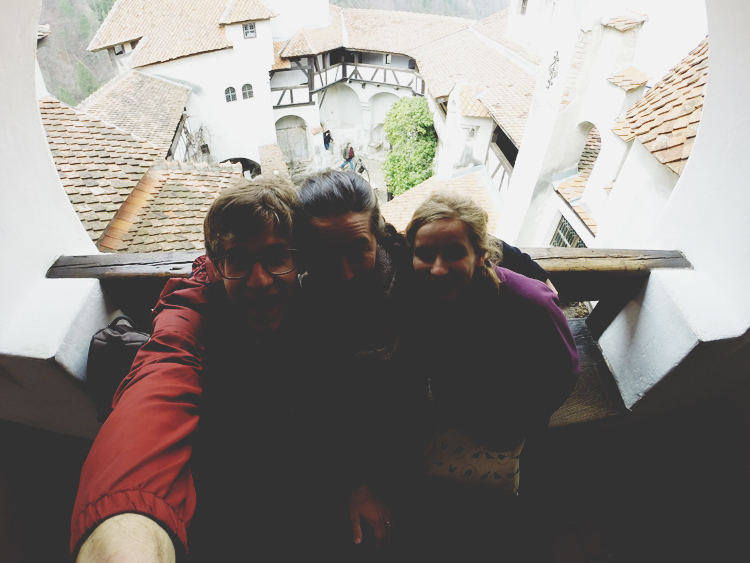 While we were in Romania last year, we toured Bran Castle on our road trip across the country. & It was AWESOME! 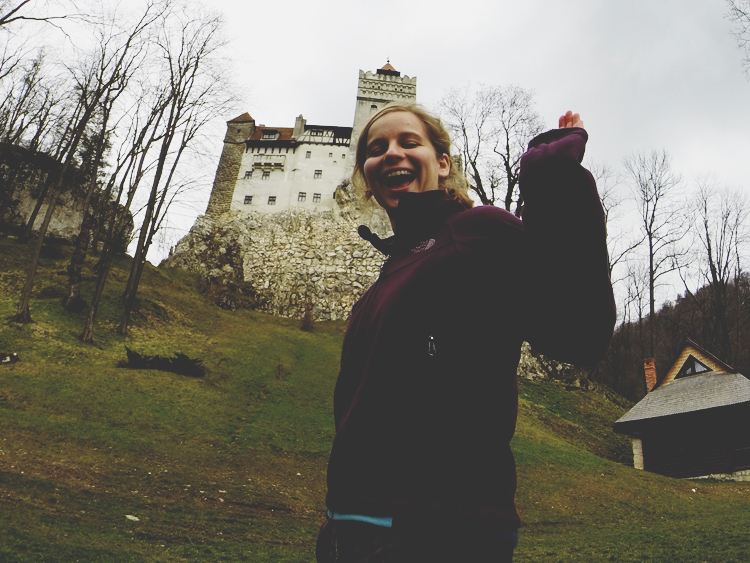 Our travel-mate Sarah joined us to explore this castle. 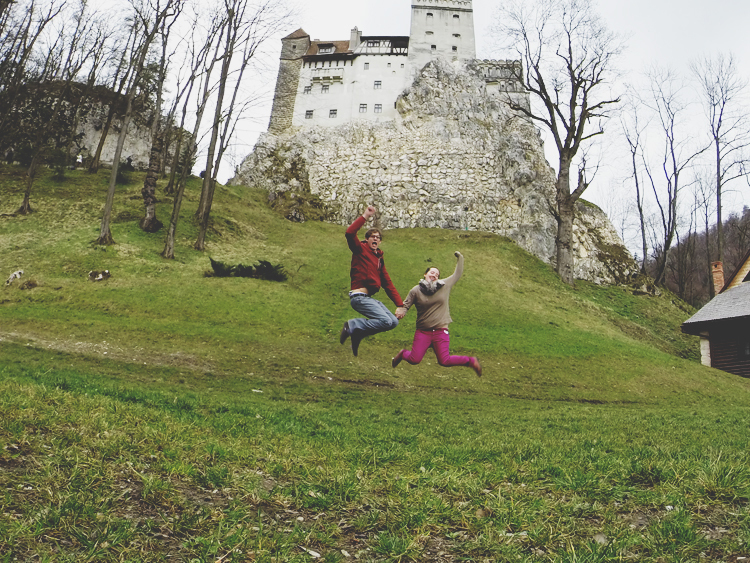 &when you’re at an ancient castle, you have to do a jumping picture in front. 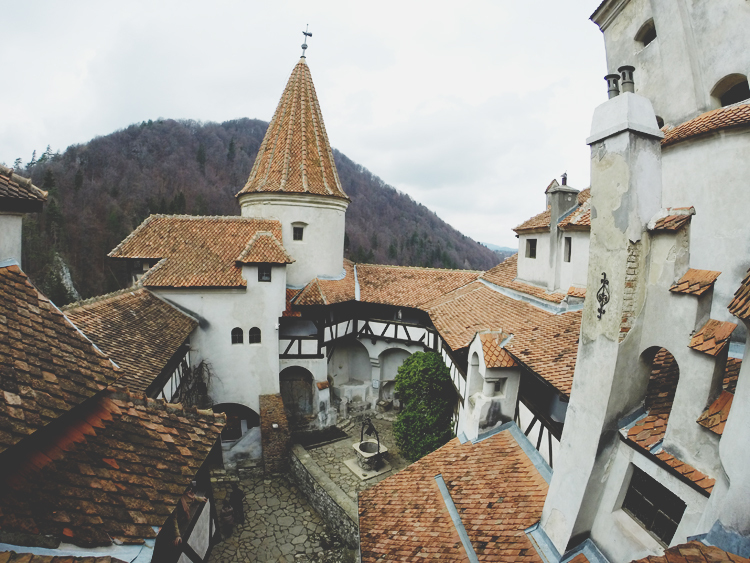 Click here to read about Corvin Castle. Click here to read all posts about Romania. 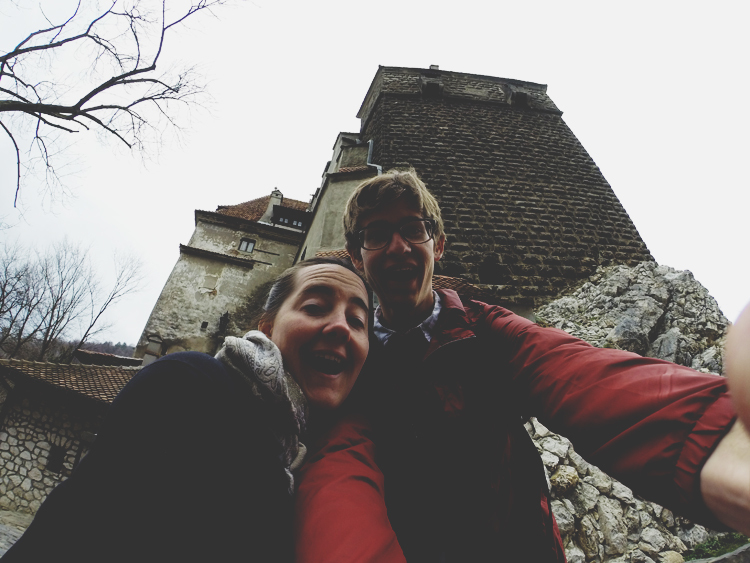 Click here to watch a highlight video about our Romanian adventure!